In this blog post, we’ll discuss fixing MySQL scalability problems using either ProxySQL or thread pool. 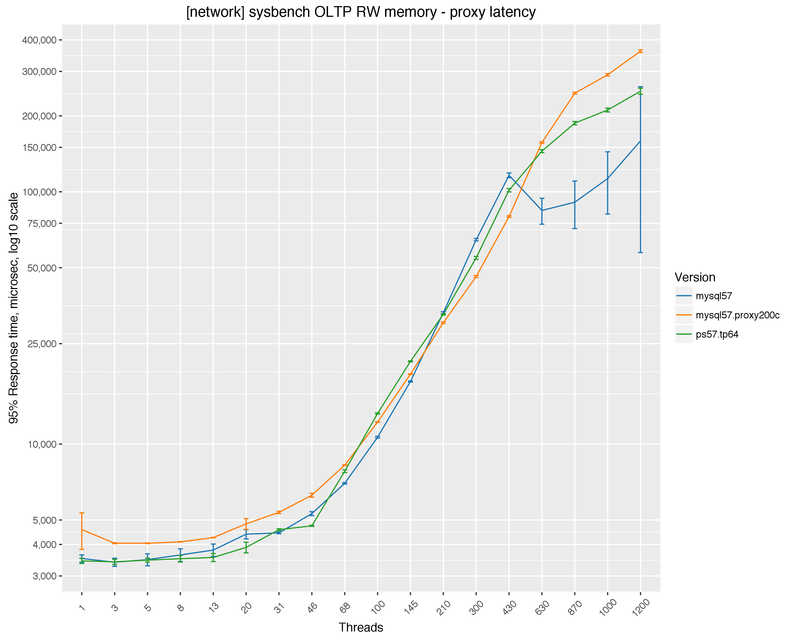 In the previous post, I showed that even MySQL 5.7 in read-write workloads is not able to maintain throughput. Oracle’s recommendation to play black magic with innodb_thread_concurrency and innodb_spin_wait_delay doesn’t always help. We need a different solution to deal with this scaling problem. ProxySQL limited to 200 connections to MySQL. ProxySQL has a capability to multiplex incoming connections; with this setting, even with 1000 connections to the proxy, it will maintain only 200 connections to MySQL. There are good and bad sides for both solutions. With ProxySQL, there is a visible overhead on lower numbers of threads, but it keeps very stable throughput after 200 threads. 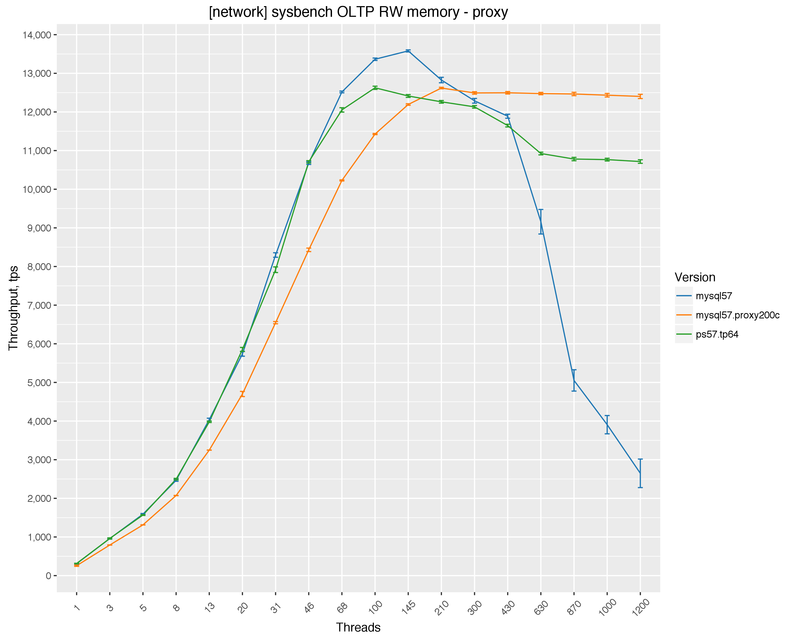 With Percona Server thread pool, there is little-to-no overhead if the number of threads is less than thread pool size, but after 200 threads it falls behind ProxySQL.